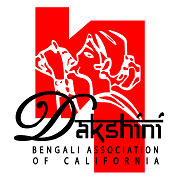 On behalf of Dakshini Executive Committee, we are pleased to announce the Dakshini High School Graduate Scholarship Award 2018. This award initiated in 2017 is being sponsored by Dr. Purnima Thakran and is dedicated to her parents, Late Commander Sabyasachi Chatterjee and Mrs Latika Chatterjee. Students who will be graduating from high school in June 2018 and will be starting college in Fall of 2018 are eligible to apply. Amount of scholarship awarded is to be determined based on number of applicants. The award will be presented during Dakshini's Shrabon Sandhya event on Saturday 28 July, 2018. The last date for receipt of completed application is July 4th, 2018 at 11:59 pm PDT. All applicants who submit a complete application will be eligible for a cash award. Equal cash awards for all applicants who meet eligibility criteria.